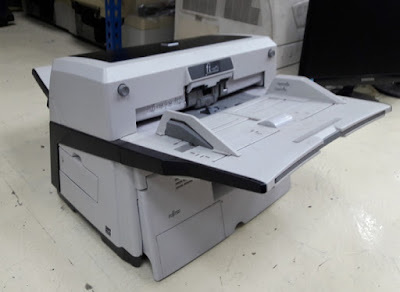 Fujitsu fi-6670 Driver Scanner. 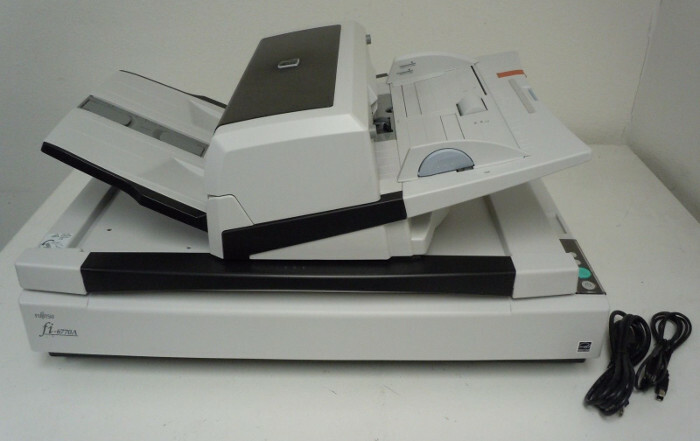 This Fujitsu fi-6770/fi-6670 scanner has A3 scanner with ADF and flatbed scanner and ADF size for stack up to 200 sheets. The ADF unit is slidable and rotatable by 180° with Scans color / grayscale / black and white in color CCD sensors x 3. Color scanning without loss of speed. Scan speed per minute in 90 pages / 180 pictures at 200 dpi A4 black and white and color mode with 80 pages / 160 pictures at 300 dpi A4 black and white and color mode maximum resolution up to 600dpi processes document sizes from DIN A8 to DIN A3. Dimensions (WxDxH) 690 x 500 x 342 mm has an integrated A3 flatbed and Image optimization functions of the scanner 3-zone ultrasonic double-sheet detection with Blind color freely selectable also the Background color black or white selectable. Paper length sensor Scans overlengths of up to 3 meters. Supplied software: ISIS and TWAIN drivers, PaperStream IP driver, 2D Barcode for PaperStream, Software Operation Panel and Error Recovery Guide with PaperStream Capture Software also ScanSnap Manager for fi-series. ABBYY FineReader for ScanSnap and Scanner Central Admin Agent software.